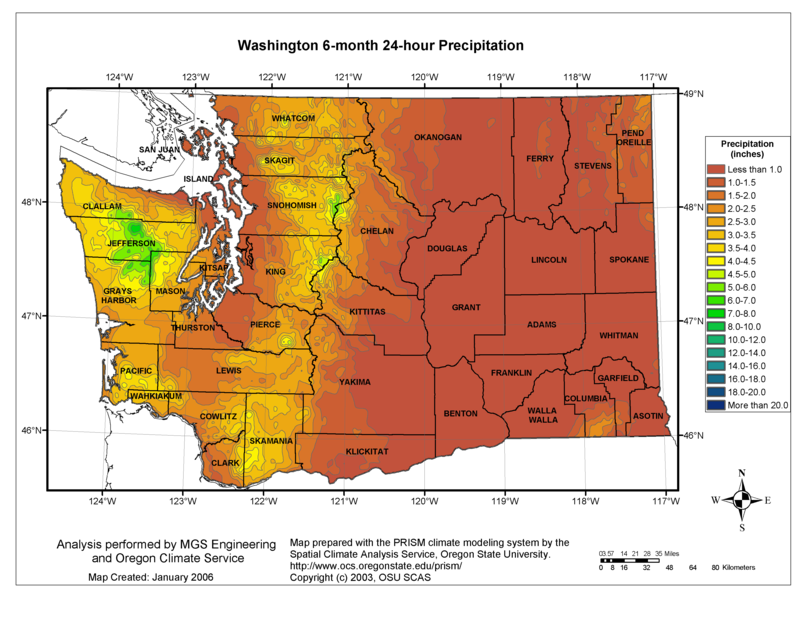 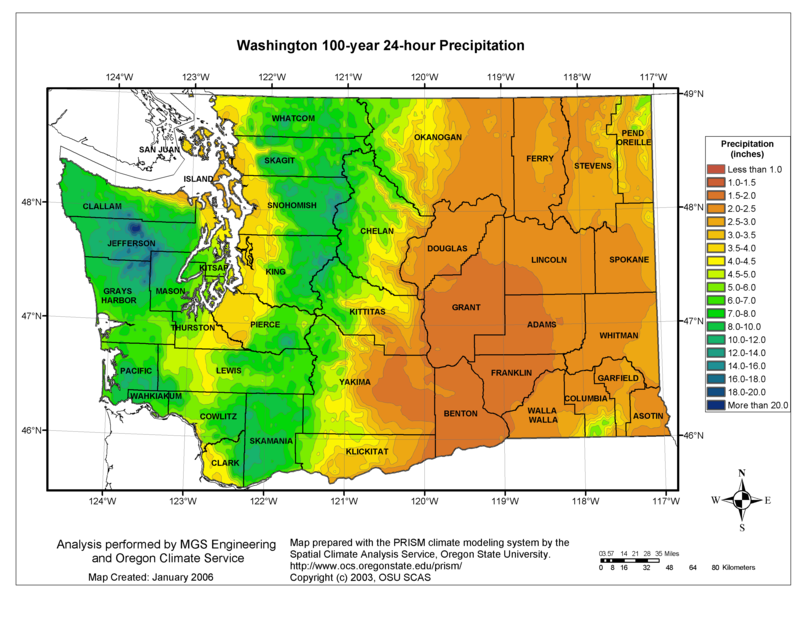 Isopluvial Maps of Washington State were recently completed, under a contract with WSDOT. Gridded datasets and shape files are available for the entire state for durations of 2-hours and 24-hours for a full range of annual exceedance probabilities. 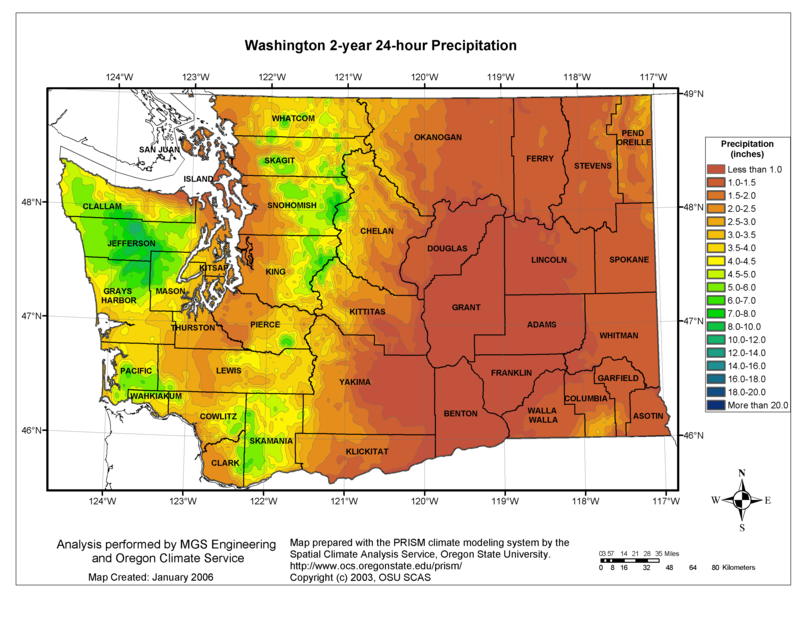 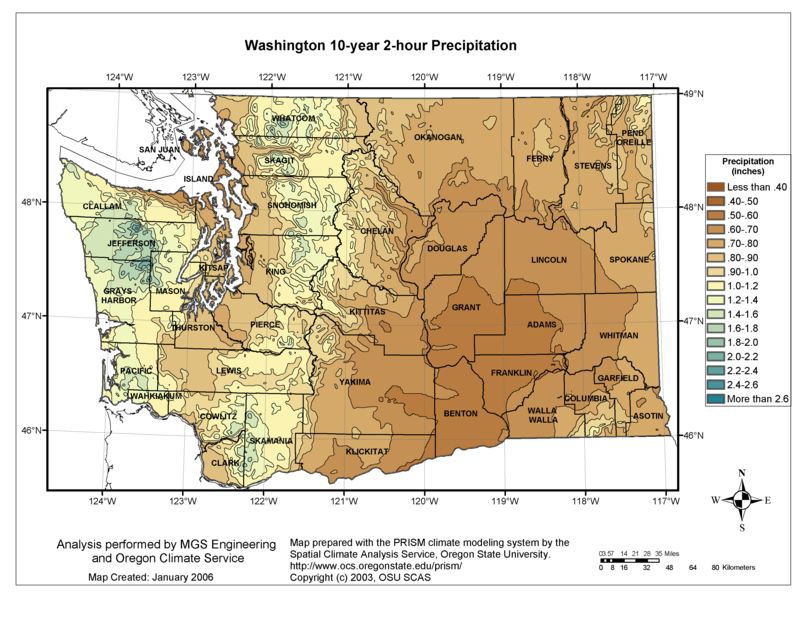 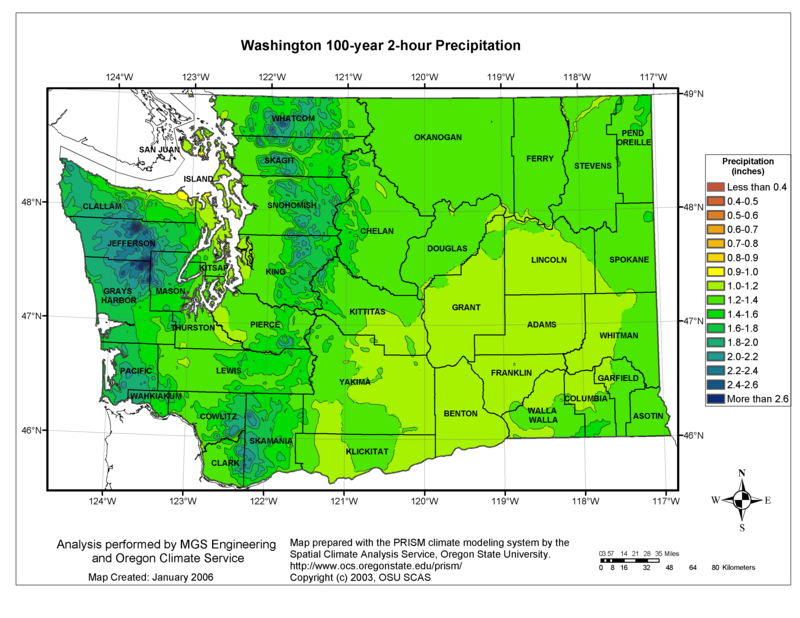 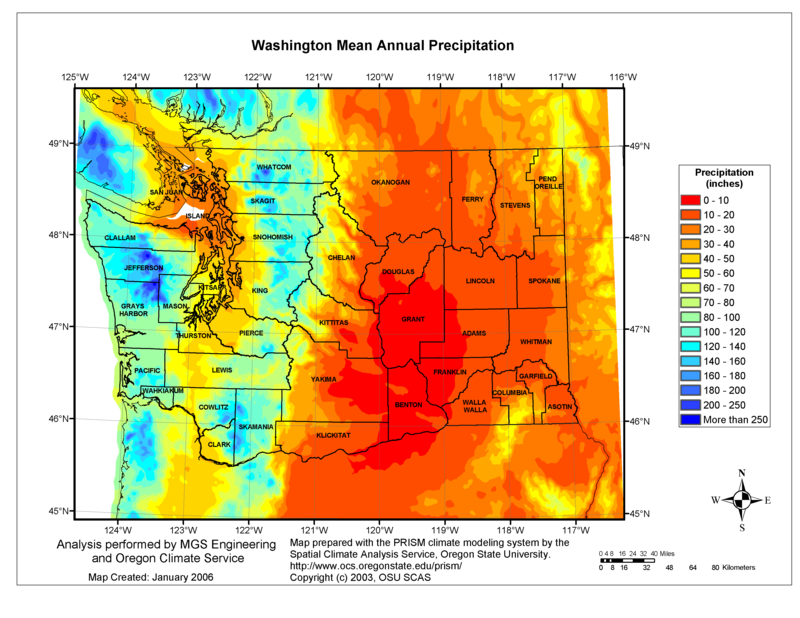 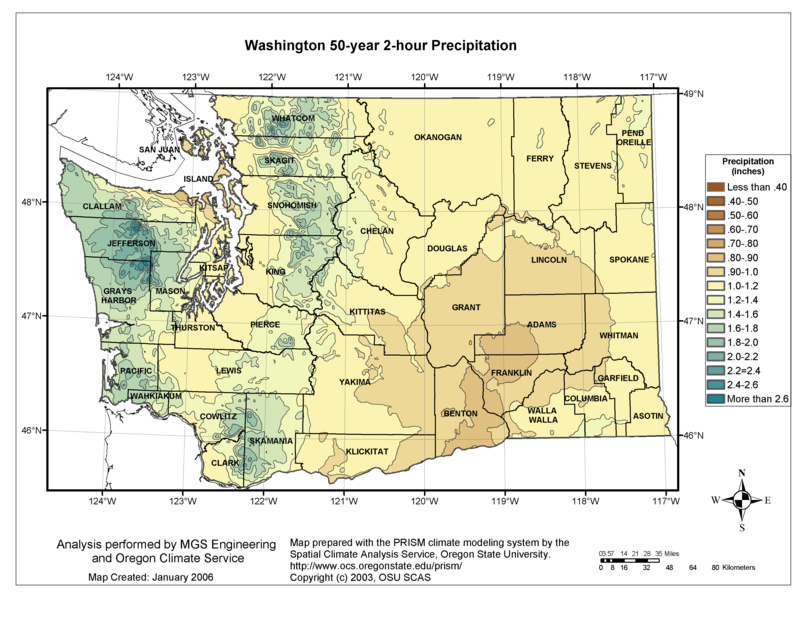 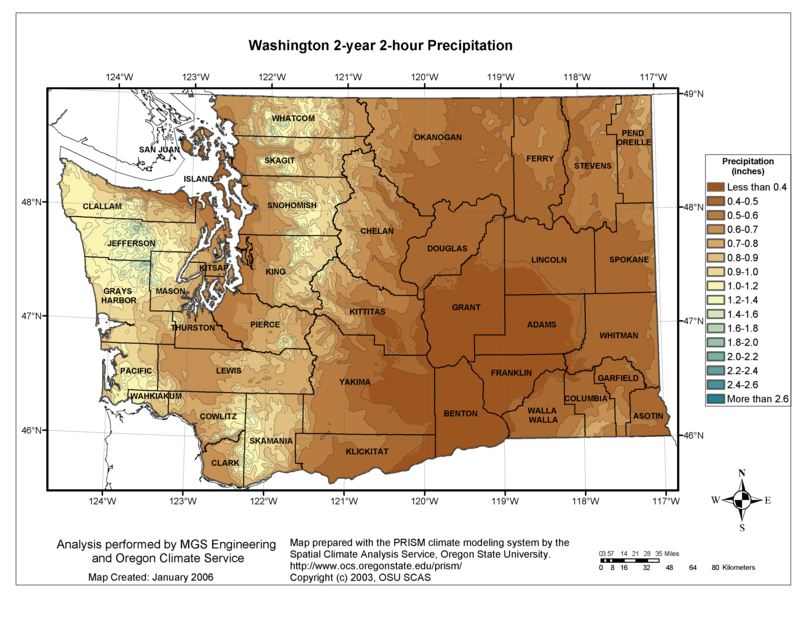 The links below are high resolution images of the precipitation maps.